Thanks for sharing information i really appreciate it. 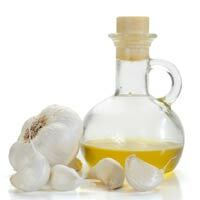 Garlic is a best remedy for cold and cough and plus ear infection it really works for me. thank you for this tip. One question though: is it possible to keep it for longer than 1 day, say in the fridge maybe? So I can have it again for an immediate emergency. Hi Diana - I would not recommend making an extra batch and leaving it in the fridge simply because the anti-bacterial and anti-viral properties of garlic loose their potency quickly once the garlic is cut up. This is also why using fresh garlic is important. Making garlic oil only takes a few minutes so it's well worth the effort to make it fresh.